AFFORDABLE LAKE JAMES LIVING!!! Located in the quiet cove of Plantation Point subdivision, this home boasts over 123' of lake frontage. Enjoy a relaxing evening on the large back deck overlooking the water. Tons of space with 3 bedrooms, 2 bonus rooms, and 3 & 1/2 baths, including recently finished basement/possible in-law suite. 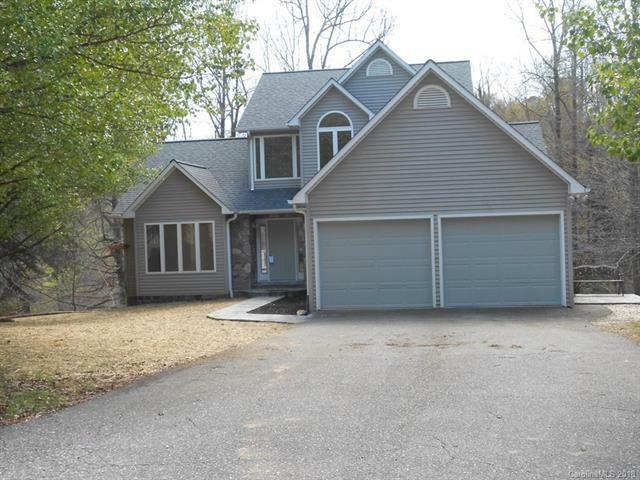 Main level master suite with bath, eat-in kitchen, living/dining area w/fireplace...2 bedrooms & bath on the upper level...2 bonus rooms, bath, great room, kitchen area, and storage in the finished basement. Recent updates include NEW roof, flat stone walkways, pressure-treated decking, exterior lighting, exterior painting... NEW granite kitchen countertops & SS sink, toilets & faucets, refinished hardwoods, new bedroom carpets, interior doors/mouldings painted. Newer heat pumps (2014, 2009). This one won't last long!! !